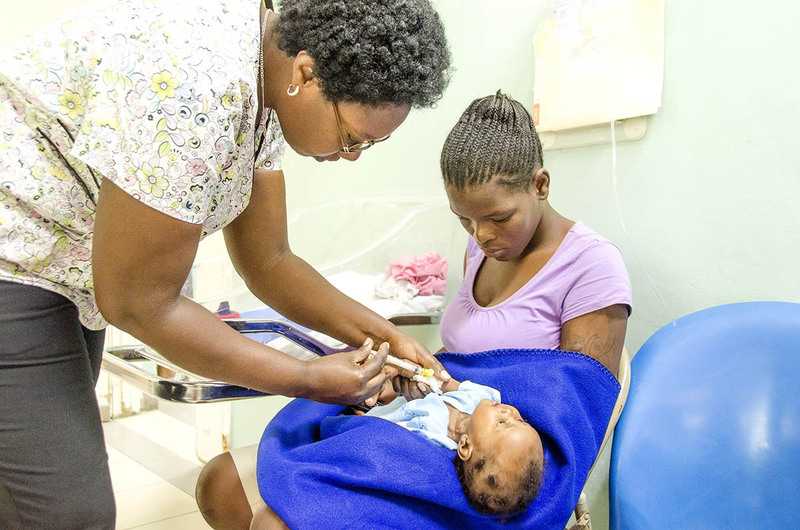 NPH Haiti began helping the victims of cholera before it hit Port-au-Prince in 2010, by driving to Port-de-Paix to help Mother Theresa’s Sisters manage their many cases and later to St. Marc when it was overrun with patients. NPH set up its first center, St. Philomena Rehydration Center, in the compound of the NPH Kay Germaine rehabilitation center in Tabarre. St. Philomena would grow to become the current St. Luke Foundation hospital for adults. 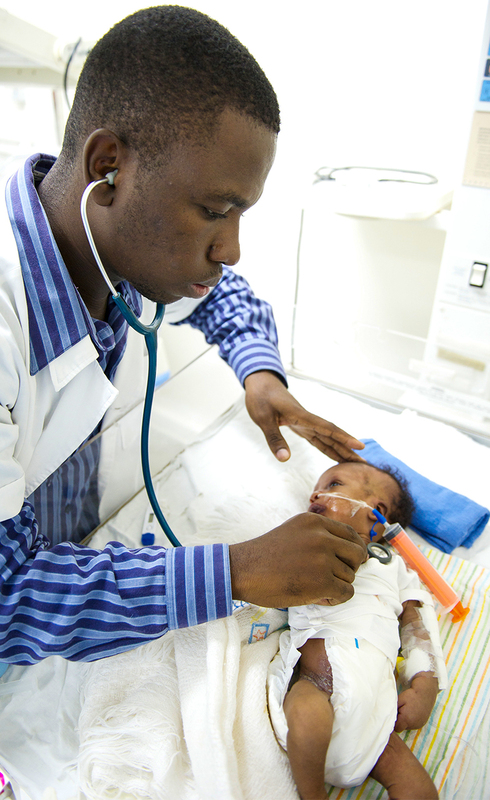 In 2013, the pediatric section of the cholera/rehydration center was moved to St. Damien to better manage the child cases. The center is called Rehydration Center to avoid the stigma of cholera. Although an oral efficient vaccine against cholera was tested and introduced in Haiti, the coverage remains low so the population still remains vulnerable. Other diarrheal illnesses are treated at the center as well. St. Damien Pediatric Hospital and its community health programs receive people from all over the country, so cholera is always present. The number of patients increase with the amount of rainfall. The vast majority of people still do not have access to clean drinking water. They must purchase gallons of treated water for drinking and washing dishes. They buy untreated water for showers and laundry which sometimes is the only water they have if they can afford to purchase water at all. There were multiple cholera centers in Haiti at the beginning of the epidemic but now there are approximately only 15 that NPH Haiti can identify, with the only pediatric one at St. Damien. 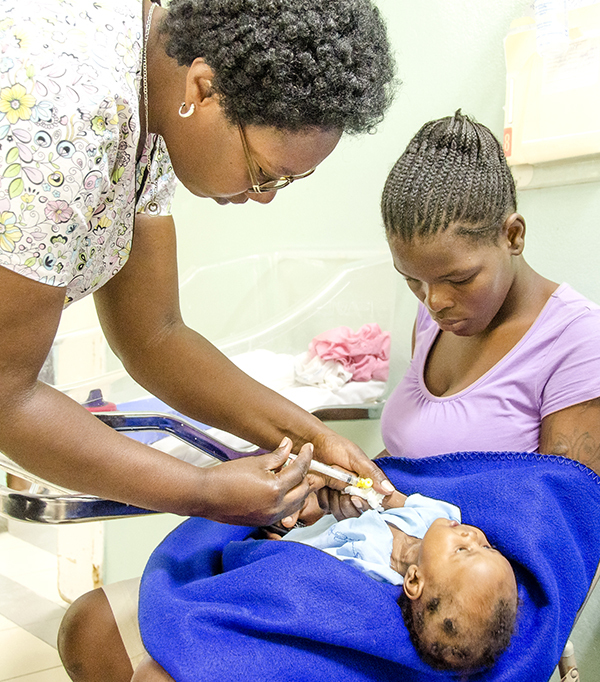 The center is also used as one of the sentinel sites to study the impact of the rotavirus vaccine, newly introduced in Haiti in 2014 for children by the Ministry of Health and CDC epidemiological teams. Rotavirus is a virus causing most cases of diarrhea in children under one year of age. 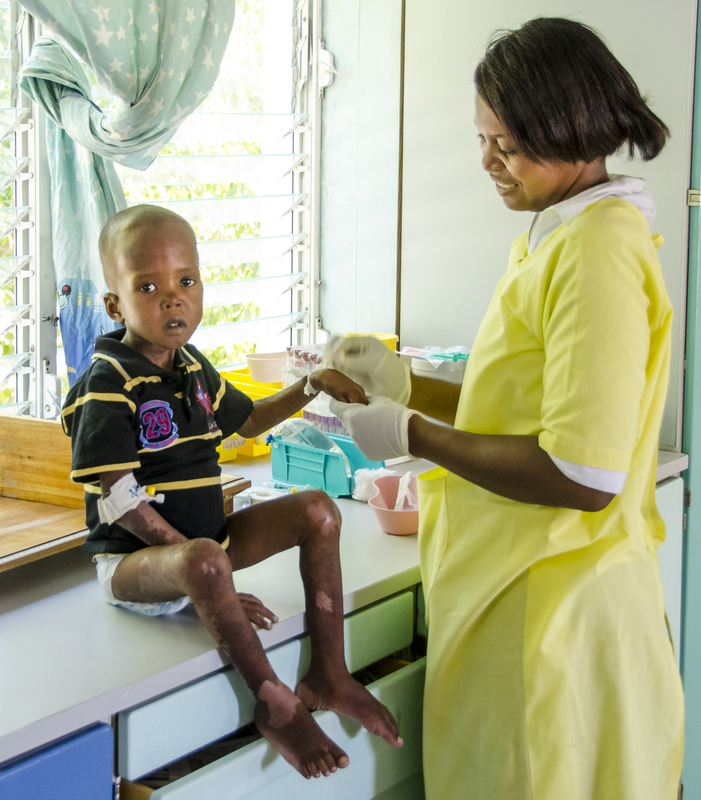 January to June 2015, St. Damien has treated over 1,881 rehydration pediatric cases with 323 being identified as cholera.